Is Your Nissan CVT Transmission System Making Your Vehicle a Lemon? For some owners of 2013 – 2017 Nissan Sentra, Versa, Versa Note, Altima, Rogue, Murano, or Pathfinder vehicles equipped with the continuously variable transmission (CVT), Nissan’s “Innovation that Excites” global brand platform has been more along the lines of Innovation that Frustrates. 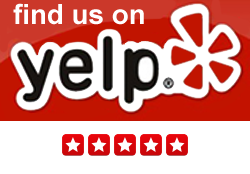 There is nothing “exciting” about owning a brand new vehicle that you are constantly having problems with and there is nothing “innovative” about a brand new vehicle that needs to be repaired on a regular basis for the same issues. And there is nothing good about the way Nissan is handling consumer complaints regarding their CVT transmission systems. The Nissan Murano was the first car Nissan offered with only a CVT, and it came with serious problems. The problems were so bad that Nissan decided to double the warranty period for the transmission in the 2003-2010 Murano, and also on the 2007-2010 Versa SL, Sentra, Altima and Maxima; 2008-2010 Rogue; and the 2009-2010 cube®. The existing powertrain warranty coverage of 5 years/60,000 miles was extended for CVT repairs, replacements or related towing, to 10 years/120,000 miles, whichever comes first. The remainder of the powertrain warranty coverage for components other than the CVT transmission system remains unchanged, at 5 years/60,000 miles, and the basic warranty coverage also remains unchanged. All other warranty terms, limitations and conditions otherwise apply. “CVT Error” warning light, and more. We have assisted many consumers who ended up with Nissan vehicles equipped with CVT transmission systems where the vehicles have required transmission software updates, transmission control module replacements, one or even two entire transmission system replacements, yet the vehicles were never fully repaired. In all cases, regardless of how many trips to the dealership for a repair, there was and still is no permanent fix. If you own a Nissan vehicle equipped with a CVT transmission system and you need to have your car towed to the Nissan dealership, you should know that not all CVTs can handle being towed. For example, the Nissan Rogue AWD (CVT) needs to be towed on a flatbed. Nissan recommends that All-Wheel Drive (AWD) models get towed in on a flatbed. Towing an AWD with any of the wheels on the ground may cause serious damage to the powertrain. For Front-Wheel Drive (FWD) models, Nissan recommends that your vehicle be towed with the front wheels up off the ground. 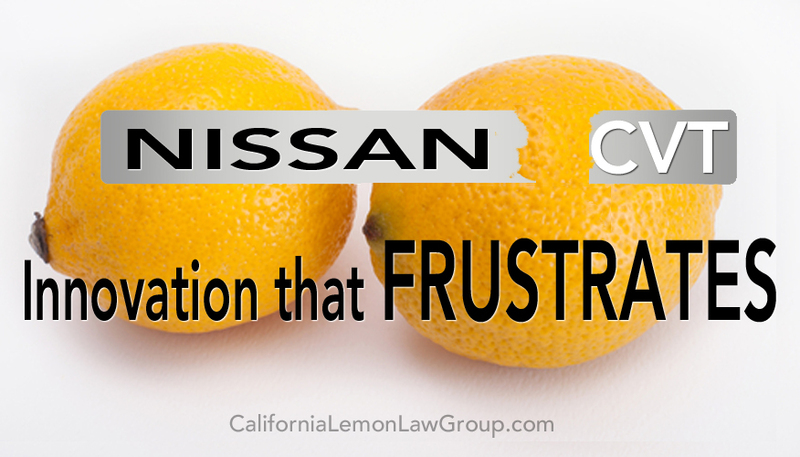 Still not sure whether or not your Nissan vehicle with a CVT transmission system can be considered a lemon under the California Lemon Law? 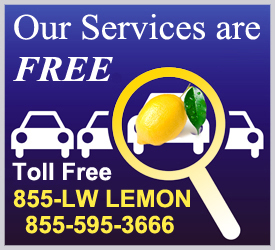 You may have a lemon law case whether the repair visits have solved the problems or not.